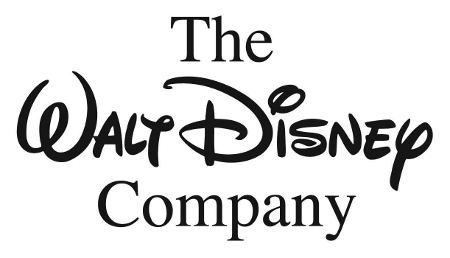 According to Home Media Magazine, a weekly home entertainment business publication, reportedly as a negotiation tactic, Amazon.com, Inc. (NASDAQ:AMZN) blocked the pre-order option for The Walt Disney Company (NYSE:DIS)’s most major disc releases including Muppets Most Wanted (Aug. 12), Captain America: The Winter Soldier (Sept. 9), Million Dollar Arm (Oct. 7) and Maleficent (Nov. 4). On the other hand, Amazon still keeps pre-order option for online versions of early electronic sell through of new-release The Walt Disney Company (NYSE:DIS)’s titles on Amazon Instant Video. Although representatives of The Walt Disney Company (NYSE:DIS) and Amazon.com, Inc. (NASDAQ:AMZN) are hesitant to comment on the situation and reveal the exact reason for this development, it seems that this is a recurrence of what has happened during Amazon.com, Inc. (NASDAQ:AMZN)’s prolonged negotiations with the French book publisher Hachette, one of its major vendors, in an attempt to decrease the e-book prices to more reasonable rates. For details, you can check our previous article Amazon.com, Inc. (AMZN) and Hachette War of Words Seeks Mass Involvement. Exercising the same tactic, Amazon has removed the pre-order option for the books from Hachett for months and had itself asked readers to contact Hachett CEO by encouraging them to write to him what they think about the dispute on the prices through a letter with more than 900 authors’ signatures and published in the New York Times. In spite of the world largest online retailer Amazon.com, Inc. (NASDAQ:AMZN)’s months-long tiff with Hachette is yet to be resolved, its recent clash with Time Warner Inc (NYSE:TWX) is expected to end soon. Bloomberg reported that pre-order option for the DVDs of Time Warner Inc (NYSE:TWX)’s Warner Bros. movies such as “Transcendence” and “The Lego Movie” which Amazon had blocked is now available.